This listing is for candy ONLY for customers wanting to refill their mint tins. Never judge a mint by its size. 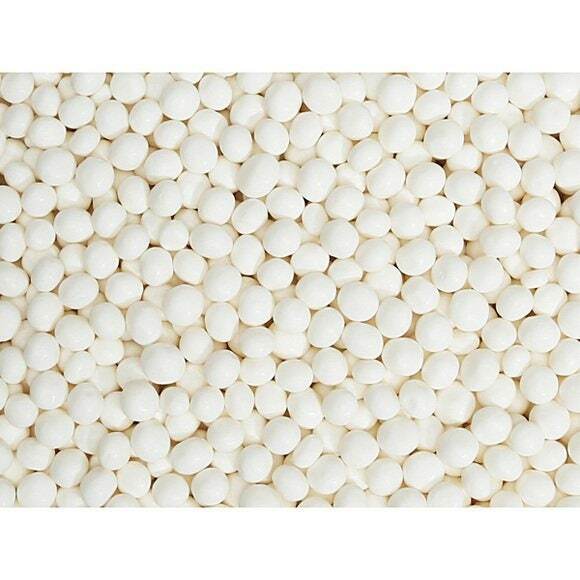 Although these snow white spheres are petite, they pack a powerful punch of mint flavor. With a crunchy and then chewy texture reminiscent of mini minty Skittles, they're perfect for large gatherings or to refill candy dishes or our tins mints. Grab this one-pound bag of tiny white original peppermints to to make your breath even cooler than it was before. There are approximately 1,000 pieces per pound.